Today is the 69th birthday of David Bowie. His song “Ashes to Ashes” was playing on my iPhone and in my ears when I got a call from W telling me that J had died. It is just a coincidence, but I think that J would be happy it David Bowie. He has played a role in the soundtrack of many people’s lives for decades, including mine. I remember doing rows and rows of floor exercise passes while “Let’s Dance” and “China Girl” played on what seemed a continual loop. The world is a better place because he is in it. BEST KNOWN FOR: David Bowie is an English rock musician who was incredibly innovative and popular during the 1970s. His distinctive voice and depth of work endures. David Bowie (born David Robert Jones on 8 January 1947) is an English musician, actor, record producer and arranger. A major figure for over four decades in the world of popular music, Bowie is widely regarded as an innovator, particularly for his work in the 1970s. He is known for his distinctive voice and the intellectual depth and eclecticism of his work. Bowie first caught the eye and ear of the public in July 1969, when his song “Space Oddity” reached the top five of the UK Singles Chart. After a three-year period of experimentation he re-emerged in 1972 during the glam rock era with the flamboyant, androgynous alter ego Ziggy Stardust, spearheaded by the hit single “Starman” and the album The Rise and Fall of Ziggy Stardust and the Spiders from Mars. Bowie’s impact at that time, as described by biographer David Buckley, “challenged the core belief of the rock music of its day” and “created perhaps the biggest cult in popular culture.” The relatively short-lived Ziggy persona proved merely one facet of a career marked by continual reinvention, musical innovation and striking visual presentation. In 1975, Bowie achieved his first major American crossover success with the number-one single “Fame” and the hit album Young Americans, which the singer characterized as “plastic soul”. The sound constituted a radical shift in style that initially alienated many of his UK devotees. He then confounded the expectations of both his record label and his American audiences by recording the minimalist album Low (1977)—the first of three collaborations with Brian Eno over the next two years. The so-called “Berlin Trilogy” albums all reached the UK top five and garnered lasting critical praise. After uneven commercial success in the late 1970s, Bowie had UK number ones with the 1980 single “Ashes to Ashes”, its parent album Scary Monsters (and Super Creeps), and “Under Pressure”, a 1981 collaboration with Queen. He then reached a new commercial peak in 1983 with Let’s Dance, which yielded several hit singles. Throughout the 1990s and 2000s, Bowie continued to experiment with musical styles, including blue-eyed soul, industrial, adult contemporary, and jungle. His last recorded album was Reality (2003), which was supported by the 2003–04 Reality Tour. 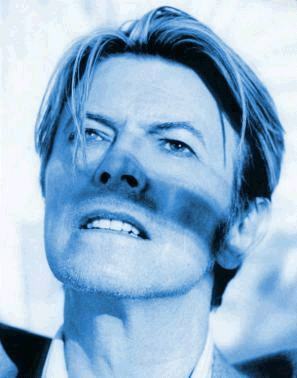 Buckley says of Bowie: “His influence has been unique in popular culture—he has permeated and altered more lives than any comparable figure.” In the BBC’s 2002 poll of the 100 Greatest Britons, Bowie was placed at number 29. Throughout his career, he has sold an estimated 140 million albums. In the UK, he has been awarded nine Platinum album certifications, 11 Gold and eight Silver, and in the US, five Platinum and seven Gold certifications. In 2004, Rolling Stone ranked him 39th on their list of the “100 Greatest Artists of All Time”, and 23rd on their list of the best singers of all-time.